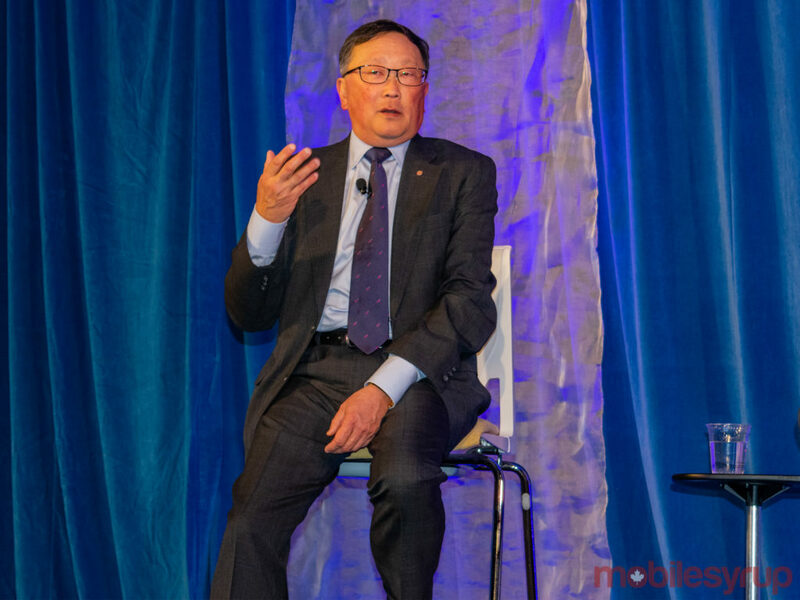 BlackBerry CEO John Chen says he likes to fix things, though he admits he has no talent as a handyman. Instead, the 63-year-old Hong Kong-born British-American executive’s real talent is fixing companies. 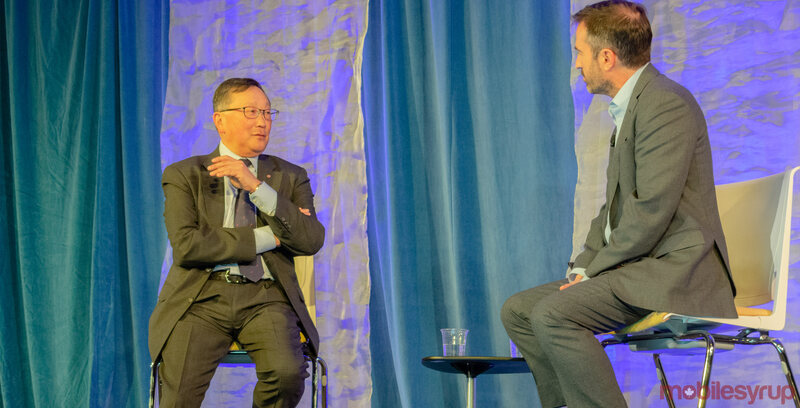 While speaking with RBC senior vice president of the office of the CEO John Stackhouse during the bank’s monthly ‘RBCDisruptors’ series, Chen expounded on his talent for fixing things by sharing an anecdote about the current state of the company that was once the world’s leading smartphone hardware and software manufacturer. “I could give you the song and dance about how great we’ve done and how brilliant my leadership has been,” began Chen. Roughly five-years-later, when BlackBerry wanted to acquire U.S. artificial intelligence (AI) company Cylance, Chen said his company was able to close the deal for $1.4 billion USD — in cash. Despite Chen’s optimism — and he’s a notably optimistic person — BlackBerry has undeniably undergone a radical shift in its overall market presence. After all, the company no longer manufactures smartphones of any kind, instead licensing the BlackBerry name to companies like China’s TCL, India’s Optiemus Infracom and Indonesia’s BB Merah Putih. The company’s also shifted its focus from consumer-facing products to enterprise mobility management (EMM) software, in-vehicle computing software and general cryptology and security software. Interestingly enough, despite the company’s pivot away from hardware, Chen said that BlackBerry has no plans to change its name. “A lot of people ask me about that since we’re now focusing on software, services [and] security,” began Chen. Chen explained that the BlackBerry name continues to garner respect, despite the company’s very public turmoil in the early 2010s. “I get a lot of meetings [by] saying we’re BlackBerry,” said Chen. Of course, a storied name would be meaningless without worthwhile products, and Chen used his RBCDisruptors appearance to boast about his company’s prowess. “Anywhere from cryptology to the way we manage identity inside the software stack, as well as AI related to hardware … all those things and the features that we put in to allow operators and enterprise customers to manage what gets looked at, downloaded and contained, we definitely are the number on in the world,” said Chen. Chen said that BlackBerry software is also used by all major Canadian banks with the single notable exception of RBC. “I actually don’t even know why I agreed to come,” joked Chen. In addition to its work with the Canadian and U.S. governments, the company has begun focusing on healthcare, while BlackBerry’s transportation sector push — chiefly due to the company’s QNX in-vehicle software toolkit — include partnerships with Detroit-based automotive giant General Motors and Ford, as well Britain’s Jaguar Land Rover. “We’re helping them to design the next generation car,” said Chen, adding that BlackBerry primarily profits off of QNX through royalties. Chen also said that BlackBerry is working on smart city software. “We recently released the security certificate management software for free for smart cities,” said Chen. As for the company’s security and artificial intelligence efforts, Chen said that BlackBerry is more interested in endpoints rather than just devices. “We wanted to be able to manage everything large and small and then have them talk to each other in a really secure manner,” said Chen. When asked about the prospect of competing with AI giants like Google, Chen said that it’s important for companies to focus on what they do best. “Where we have a lot of competition, they also have different focuses,” explained Chen. Chen also emphasized that BlackBerry doesn’t use or even look at any of the data gathered by its software. “We don’t use it, we don’t look at it, we actually have an algorithm that discards it after a short time,” said Chen. While much of the conversation between Chen and Stackhouse centred on BlackBerry, the discussion eventually shifted towards the growing subject of China as an emerging technological superpower. Stackhouse asked Chen about the CEO’s opinion on the current trade war between China and the U.S., as well as the immense scrutiny levelled against Huawei due to concerns about Huawei’s relationship with the Chinese government. “This is all posturing for a deal,” said Chen. “However, even without that, if you look at the global supply … cell phones, routers, PCs, there are very few goods that these countries make and trade that doesn’t rely on each other’s supply logistics,” said Chen. As for Huawei’s 5G efforts, Chen said that the company might be forced to take a page out of Microsoft’s playbook when the Redmond computing giant wanted to push into China. “The only possibility over time is just like what Microsoft did in China, which is they will have to open up their source for examination and there’ll be a control operator along the way,” said Chen. Chen was also asked whether Chinese security concerns are as serious as some politicians have suggested, though the CEO admitted that he didn’t know. “I obviously don’t work with Huawei and I don’t have the visibility of the code…I have no idea,” said Chen. Chen also addressed the growing risk that cyber attacks pose, but concluded by acknowledging that he’s nonetheless optimistic about the future. “Good things can happen quickly,” said Chen.